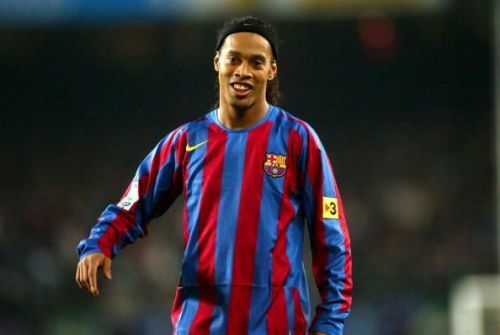 Ronaldinho is art personified; the greatest entertainer football has ever seen, period. Footballers have come and gone and will continue to do so, but it seems nigh impossible for the sport to produce another player as devilishly tricky and skilful as the Brazilian wizard. Ronaldinho became the first legend to retire in 2018 after he decided to hang up his boots a few days ago. For all that he has given to the beautiful game, football will forever remain indebted to him for his priceless contributions. Of all the countless magic tricks he performed, none is perhaps as awe-inspiring as this one. 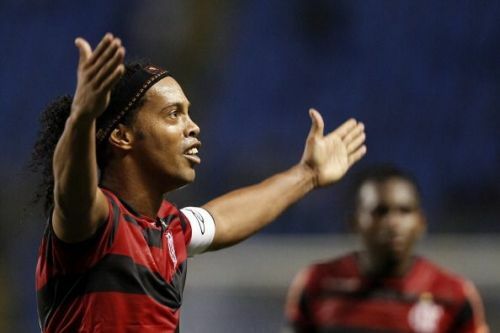 Ronaldinho is juggling around the penalty box and suddenly volleys the ball towards the goal. Many might have anticipated that he was scoring as usual, but they remain astounded when the ball comes back to him. As if to prove that it isn't a one-time thing, Dinho repeats the action twice, showing his godly ball control and accuracy. We are talking about the first ever video that amassed a million views on Youtube; the Brazilian's Touch of Gold piece for Nike. Apparently, he was trying out a new set of shoes produced by the apparel makers in the video. While some people appreciated his skill, some also branded the montage as fake, out of disbelief. You can't blame them, can you? Because that's what Ronaldinho always did - inexplicable things that left people lost for words.